Here’s a MacBook Air 11 inch with a cracked LCD. There are horizontal and vertical colored lines in the top corner and a diagonal crack across the screen. You can also see white areas on the display. 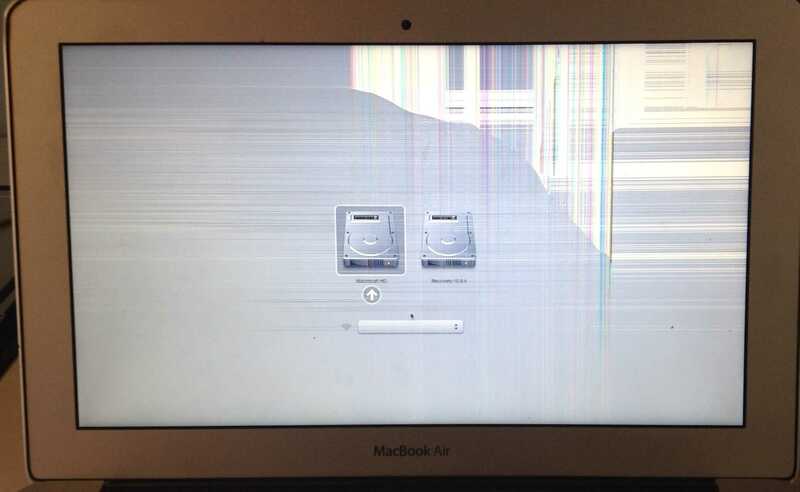 This is a classic criss cross pattern that we see with LCD damage.